The Palestinian Detainees’ Committee has reported, on Saturday afternoon, that Israeli soldiers of the Masada special unit, of the Israel’s Prison Service, invaded Section 3 of Galboa’ prison, and assaulted many detainees, an issue that pushed them to declare a hunger strike. 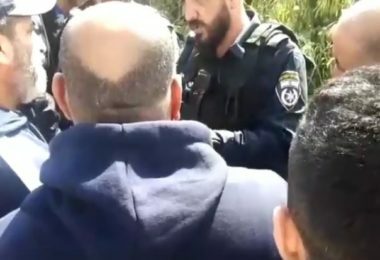 The head of the Detainees’ Committee Issa Qaraqe said the soldiers assaulted several detainees, and searched all rooms, adding that 120 Palestinians are held in this section alone. 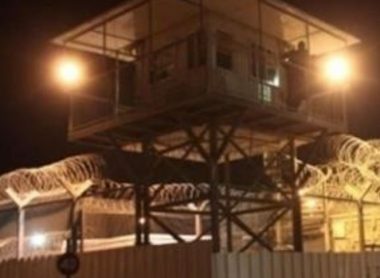 Qaraqe’ added that the invasion was sudden, without any provocation from the detainees, an issue that created tension, especially after the soldiers forced a detainee, identified as Mohammad ‘Arman, in solitary confinement. The detainees then decided to launch a hunger strike to protest the invasion, the assaults and ongoing violations.